Welcome to this week’s Round-Up. This week we look at some important quotes from famous women, how to start a vegetable garden if you don’t know where to start, the four questions you need to ask to avoid procrastination and how a Voodoo Doll could get you back on track at work. Whilst we’ve gone past International Women’s Day, it’s good to remember that women are important every day of the year and what better way to do that than take a look at some quote from History’s Most Important Women? My favourite quote? Nora Ephron. There’s an old wives tale that says if you hold a sneeze in your eyes will pop out which (shocker!) isn’t true, but there can be other implications you should consider – as well as cleaning your teeth at the wrong time too! Spring is pretty much here so it’s time that we start looking at getting our gardens into shape. We’ve looked at how to keep your backyard organized and clean and how to flex your green fingers but sometimes it’s difficult to know where to start so how about a beginners guide to starting your own vegetable garden? I’ve grown my own beans, peas, tomatoes, cucumbers and more in the past and they’re so much more tastier than their store-bought counterparts. Give it a go, you don’t even need a lot of space – you can grow a lot of things on your window sill. Oooh! Shiny things! How often has something caught your attention and taken you away from the task at hand, or stopped you starting it at all? More often than not, I’d wager. Take me, I was getting ready to sit down and write this article when I noticed a bit of dust on the staircase so I dusted that, my entire office, sorted out the recycling and then rewired my computer set-up making me 2 hours behind my anticipated schedule. So, how so you focus your wandering mind and concentrate on the task at hand? Check out On Stride’s Infographic to help you get back on task. Intention is about focusing on the task at hand and visualising the outcomes but it can be quite difficult to get a handle on what “Intention” actually is. Check out LJ Earnest’s explanation on what intentionality is and how you can use it to become more productive. I’ve written in the past quite a lot sleep patterns and how you can be an early riser or, like me, a night owl. If you feel that your sleeping pattern is out of sync with the “regular” world then apparently spending a couple of nights under canvas can help – just leave your tablet and phone at home. What are you putting off at the moment? No, that’s not one of the Four Questions – although you do need to know what needs to get done in order to know what you’re procrastinating on in order to (eventually) get it done. If you think you’re struggling with something then ask yourself these 4 questions which should help you get stuff done. You might think that Marie Kondo is all hype, you may never have heard of her (read my book review of the “Life Changing Magic Of Tidying Up here) but if you’re not sure you believe the hype, or perhaps you’re more of a visual person than a reader then I think Kondo’s Instagram speaks for itself. We’re often told that holding the Olympics will be of great benefit to the host nation – that was a big selling point of the 2012 London Olympics, which we have actually seen with an increase of funding in the UK, more sporting venues in central London and (maybe more importantly?) more medals at each successive Olympics. But, not all legacies last and some venues end up not being used for their intended purpose, or not being used at all. Read up on the Olympic’s lost legacy here. 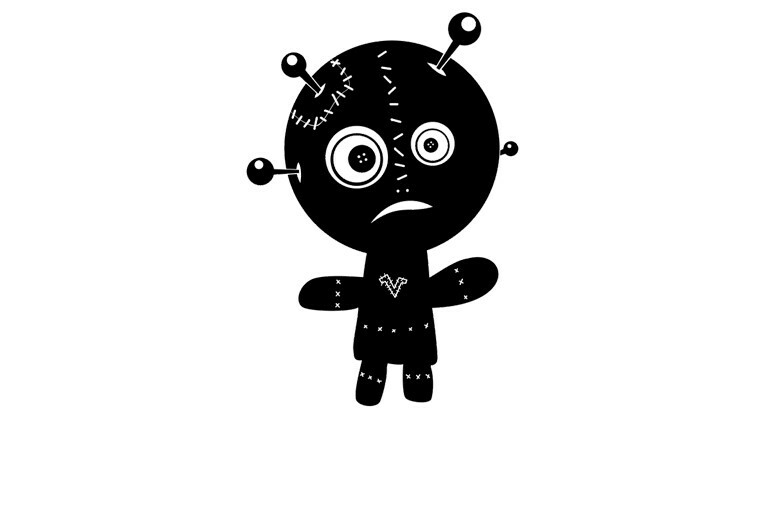 I don’t think you’ll be able to claim a voodoo doll back on company expenses, and I wouldn’t recommend telling your boss your new outlook at work is due to stabbing an effegy of them but venting your frustation on an inanimate object can, according to the Telegraph’s article, make your worklife a lot more bareable!